HCM CITY — Nguyễn Thị Lệ has become a new Chairwoman of the HCM City People’s Council, elected at the 13th extraordinary session of the city People’s Council term IX on April 8. 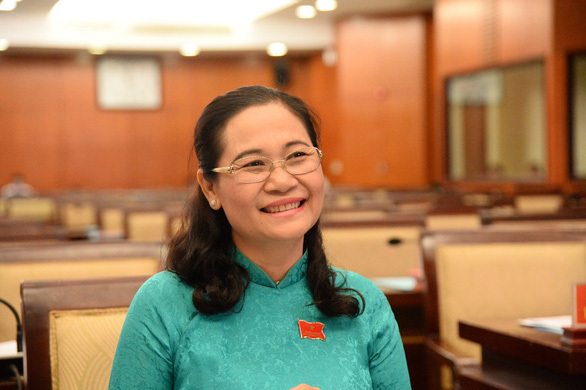 Lệ was elected as a Chairwoman of the HCM City People’s Council by 87 of the 93 votes. Former chairwoman of the HCM City People’s Council, Nguyễn Thị Quyết Tâm, has just been retired since January 1. Secretary of the HCM City Party Committee Nguyễn Thiện Nhân said that he believes with the support of all level of the authorities, Lệ will continue to promote the role and responsibility of the city People’s Council and People's Council at all levels in the locality. Trương Thị Ánh, a former deputy chairwoman of the HCM City People’s Council has also just been retired since April 1.